An emeralds unique composition is responsible for its deep, beautiful green color. It is important to know that emeralds are delicate and its properties also make it sensitive to damage or removal of the oiling within the stones. 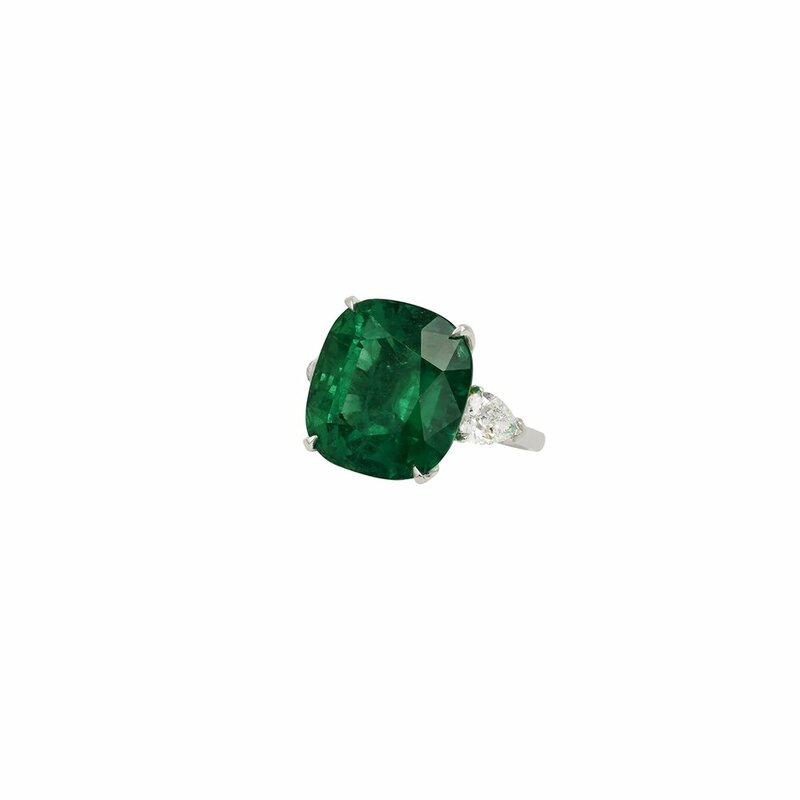 Below is a jeweler’s guide for proper emerald care. 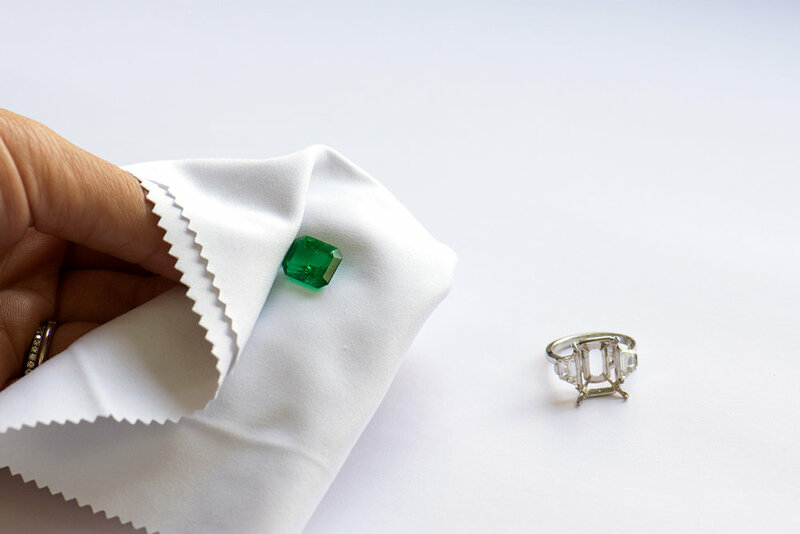 “The Wipe” – Before showing an emerald whether it be in a piece of jewelry or loose, it is important to give it a fresh wipe with a dust free wiping cloth. Wiping is the best way to clean the emerald, and can be done as many times as you like. Note: A fresh wipe portrays the stones true color and brilliance as fingerprints and other inconsistencies affect the transparency of the emerald. Remove from Setting: To more thoroughly clean an emerald jewelry piece, it is always best to remove the emerald from the setting. Once the emerald is removed, thoroughly clean the setting and then reset the emerald. Wiping Cloth: The best way to clean an emerald, loose or in jewelry, is to wipe the emerald with a clean wiping cloth. o Avoid strong soaps or other jewelry cleaning liquids. o Heat: It is important NOT to heat the emerald. Wipe the emerald with a wiping cloth, separate from how you clean the rest of the jewelry. If you’re using a toothbrush to clean your jewelry, it is important to avoid brushing the emerald. Steaming: If you need to steam the jewelry piece with the emerald inside, make sure to COVER THE EMERALD and from A DISTANCE use steam to only steam the metal and diamonds, not the emerald. It is important not to put direct steam pressure on the emerald.